Around 120cm in length on average, these peculiar mammals are covered in a dense layer of keratin scales and fibrous hair. Their soft underbellies are left uncovered and the pangolin will roll into a tight ball to protect itself. 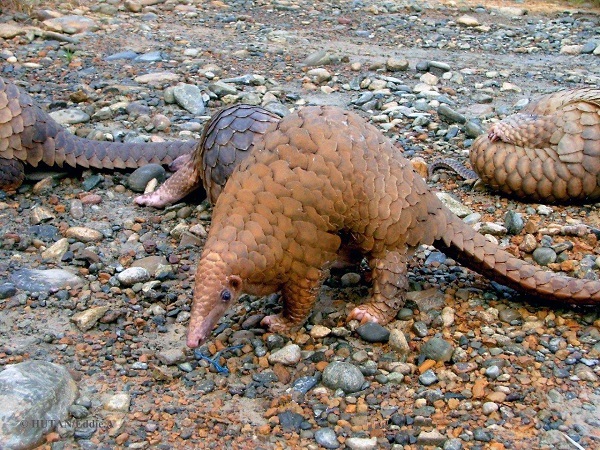 World Land Trust currently supports two conservation projects in the Far East, in Borneo and Vietnam, where Sunda Pangolins are known to live. Primarily nocturnal,the Sunda Pangolin uses its powerful front claws to dig for its specialised diet of ants and termites, both in the ground and in trees. It has an incredibly long (up to 40cm), sticky tongue to gather up its prey, devouring up to 200,000 ants in one sitting. Sunda Pangolins most commonly give birth to a single offspring, following a pregnancy of three to four months. These pangolins are excellent climbers and spend most of their time in trees, making use of their long prehensile tail. However, they do also make burrows at the base of trees. One of eight species of pangolin, and of the four found in Asia, Sunda Pangolins live across Southeast Asia, including China, Vietnam, Cambodia and Indonesia, but in ever decreasing numbers. They make their homes in primary and secondary forest, but will also use gardens and oil palm and rubber plantations. The Sunda Pangolin is one of the world’s most hunted creatures. It is poached relentlessly as a delicacy meat and for its scales, used in traditional Chinese medicine, despite keratin having no medicinal qualities. Tens of thousands of Sunda Pangolins are trafficked through the illegal wildlife trade every year. In 2016 international trade of all eight species of pangolin was banned, granting them the highest level of protection under CITES. It is crucial to recognise and protect strongholds of Sunda Pangolins to make sure they survive into the future. 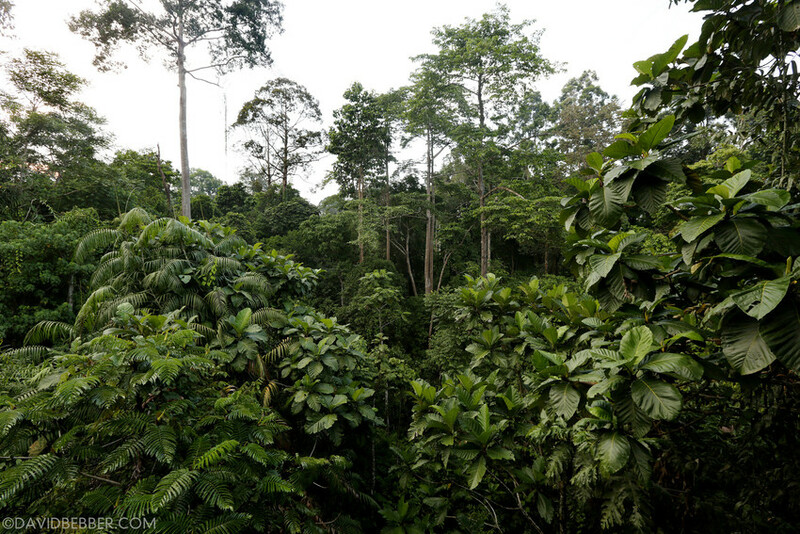 World Land Trust is helping to protect habitat for this Critically Endangered mammal in Malaysian Borneo and Khe Nuoc Trong, in the Annamite Lowland Forests of central Vietnam.